On behalf of the PCIC Calgary 2017 committee, I would like to take this opportunity to invite everyone to the 2017 Petroleum Chemical Industry Conference in Calgary, Alberta, Canada September 18 to 20, 2017. At the conference, we will again present industry leading technical presentations that have led PCIC to be recognized as the best conference of this type in the world. We will also have six informative tutorials on the Thursday immediately following the conference. The conference also provides the opportunity to socialize with your industry peers during the evening social or at our many hospitality suites. We would also encourage you to have a look at attending IEEE working group meetings on the Saturday/Sunday immediately preceding the conference, as this would give you a chance to get involved in standards that directly affect our industry.See the program on the website for details. The city of Calgary is an exciting business centre and an outstanding meeting and convention destination. 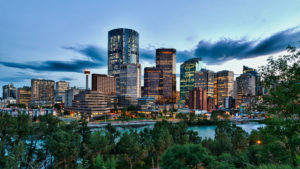 You will enjoy Calgary’s safe environment, cleanliness and legendary western hospitality. The conference will be taking place in the city’s downtown where you can discover over 1,000 shops, 200 restaurants and 50 entertainment spots. 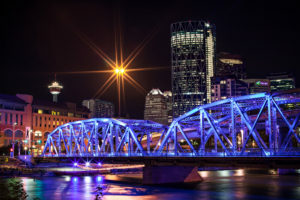 Calgary is uniquely positioned to allow visitors to experience a dynamic and energetic urban centre and to explore the surrounding foothills, badlands and Canadian Rocky Mountains. In 2017, Canada will be celebrating its 150th birthday. As part of the celebration, access to all of Canada’s National Parks is free. Recently named as a “must see place” on the National Geographic Traveler’s “Best of the World List 2017”, Banff National Park is located one hour west of Calgary. Other UNESCO World Heritage sites like Waterton – Glacier International Peace Park, Head-Smashed-In Buffalo Jump and Dinosaur Provincial Park are also located just outside the city’s doorstep. We look forward to welcoming everyone to PCIC 2017 in Calgary!